Whenever asked what is the one makeup up item you cannot live without? My response is always MASCARA! I absolutely NEED mascara. I have teeny weenie barely visible lashes. UGH! My go to mascara has been L’Oreal Voluminous Million Lashes mascara. Love that stuff. 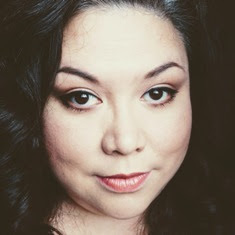 But something else has made me take notice... Marcelle Xtension Plus mascara. I receive a full sized sample in my April Glossybox. Give your lashes extra length and curl with Xtension Plus Mascara. The formula and brush curl, define and separate lashes while minimizing clumps. An innovative and specifically designed soft polymer brush offers a side with a row of longer bristles which reach even the shortest lashes and stretch them from root to tip, achieving their maximum lengthening potential. The tapered brush tip is perfect for extreme definition. Removes easily with any Marcelle eye make-up remover. Some have said this is a ‘wetter’ formula but I didn’t think it was too bad. Maybelline Great Lash mascara is a wet formula. 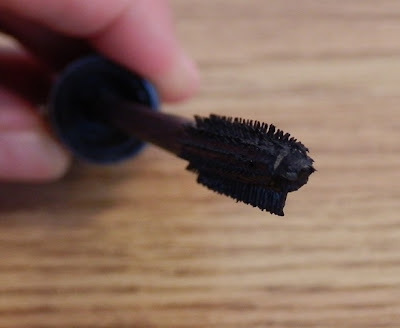 I always find a week after opening most mascaras, they ‘thicken’ up to the best viscosity. Xtension Plus mascara adds volume and lengthens pretty darn good without looking super clumpy. Tres happy with that. The curling aspect seems to be okay. My lashes are tiny and stick straight so it may just be my lashes fighting the curling capabilities of this mascara. But if I curl them (quite a bit) beforehand then the curl will stay. The brush is long and has compact bristles with one row of longer bristles. This longer row of bristles helps separate lashes while reaching the base of your lashes. The long handle allows me to access my bottom lashes a bit easier by running the slightly tapered end across them. I didn’t have any smudging issues with this mascara. 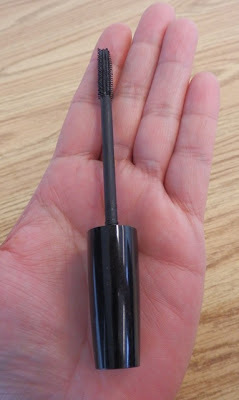 But I did notice a bit of flaking at the end of the day, but no more than most mascaras. It removed easily with my makeup remover at the end of the day. Marcelle Xtension Plus mascara retails for approximately $12.00 CDN. Would I buy again, umm Yep I already bought backups. I got this in that same glossy box and loved it too!! I really like the hard comb it came with...I have about 10 unopened mascaras to try out though, so who knows, maybe another one will win me over! When I first opened it up and saw that comb, my initial thought was OH this isn't going to work. But it is awesome.